This is one of those books I grabbed off the new book cart and immediately wanted to find a child to give it to. When something sad happens, all the animals have a suggestion to help the child, but it is only the rabbit who can help. By simply listening, the rabbit allows the child to process through their emotions. 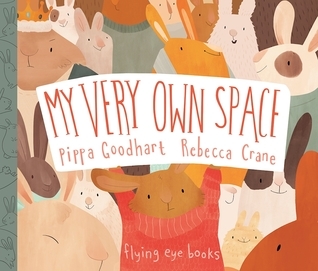 It is a beautiful story about allowing children space to grieve. Perfect for a child who is processing their own feelings or comforting others. While most reviews cite this as a book for grieving children, I think it would work well for all kids. Inhabit Media is one of my favorite publishers for Northern materials. They’re from Canada and produce gorgeous First Nations books with First Nations authors. They are one of the very few publishers I have a 100% trust relationship with. I will buy every single thing they produce. Alaska Natives are closely related to First Nations in Canada and these books speak to our populations as well. 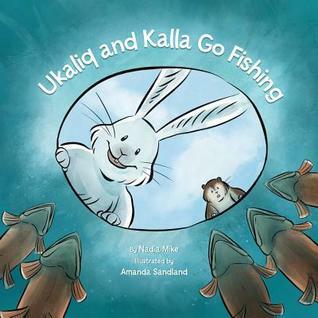 While this book features animals instead of people, they have Native names and perform many traditional and modern subsistence activities. These two friends are very different. One is loud, one is quiet; one plans, one does not. And thus they run into trouble on a fishing trip. But they both learn from each other and learn to value each other’s attributes (okay mostly one learns to plan and be calmer). This story has shades of the ant and the grasshopper, but with less starving to death over the winter. Beautifully illustrated. SEL non-fiction can be kinda dull. We have all the Julia Cook books, but honestly I am not a big fan. When parents/teachers are specifically looking for a didactic book, I usually steer them toward something from Free Spirit Publishing. Meiners has this “learning to get along” series that is lovely. This particular volume teaches empathy. Simple text paired with colorful illustrations gives easy to understand suggestions for children. The last few pages are caregiver suggestions, both for talking points as you read the book and activities afterward. Bonus list. This blog post has a TON of great suggestions for other social-emotional picture books.